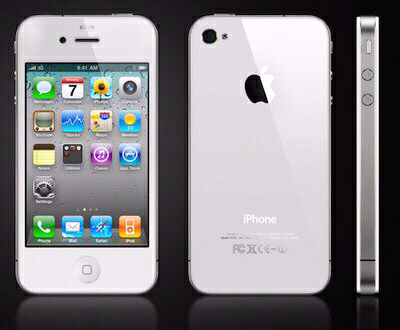 With the white rendition of the Apple iPhone 4 now officially confirmed as heading for a global release tomorrow, April 28th, Three has become the first UK network to confirm it will stock the lighter toned device. Set to land with the same array of specs as the current black iPhone 4 including the luscious 3.5-inch Retina display, dual cameras and the ARM A4 processor, the soon to be available white model will also replicate the price plan Three offer for the original device with 24 month contracts starting from as little as £25 per month. Available for £499.99 on a PAYG basis with a £15 top up snagging consumers 300 minutes, 3,000 texts and all-you-can-eat date, the long awaited white iPhone will also touch down on Three’s The One Plan with £35 per month securing unlimited data, 2,000 any network minutes, 5,000 Three to Three minutes and 5,000 texts per month. Will you be heading out to snap up the white iPhone 4 when it lands tomorrow or has Apple missed its chance what with the iPhone 5 expected to touch down in June?